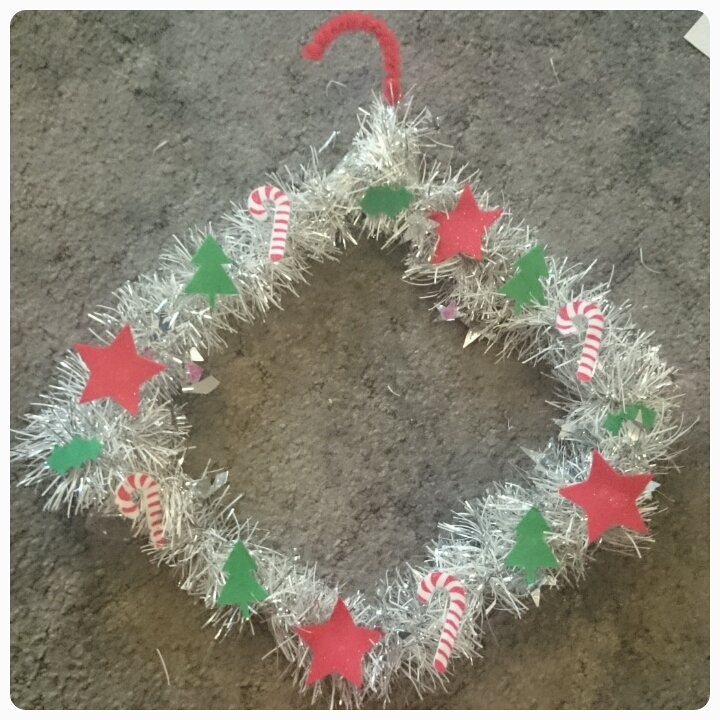 I love crafting with the kids and Christmas is the perfect excuse to get out to get a little creative. 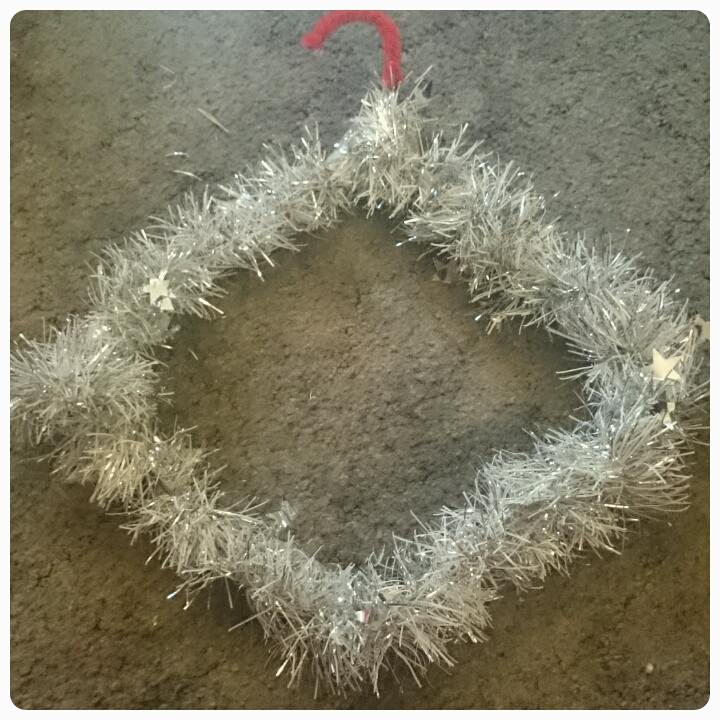 I wanted some new decorations this year but didn't want it to cost a lot so we've been creating some decorations of our own, starting with an simple festive wreath. 1. 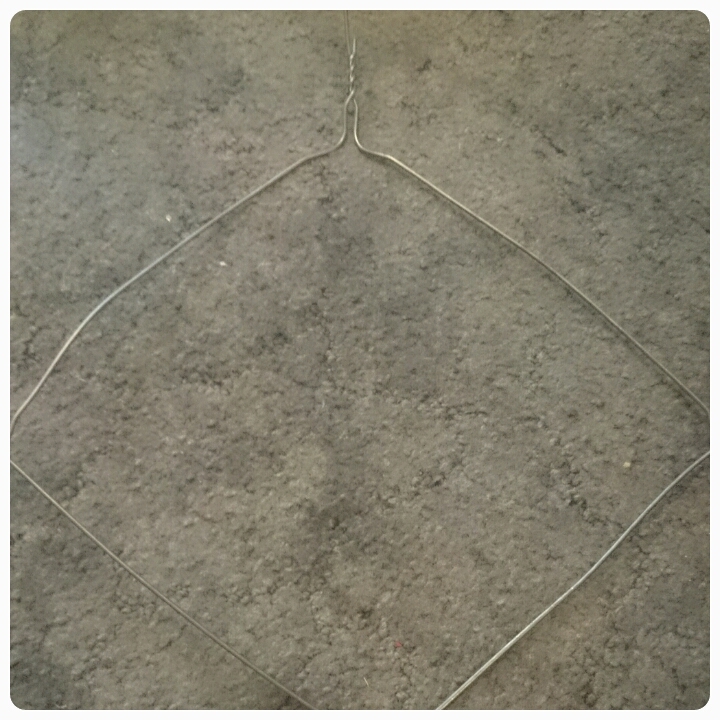 Bend your wire coat hanger into a more circular shape. We actually opted for a diamond shape to be a bit different. 2. 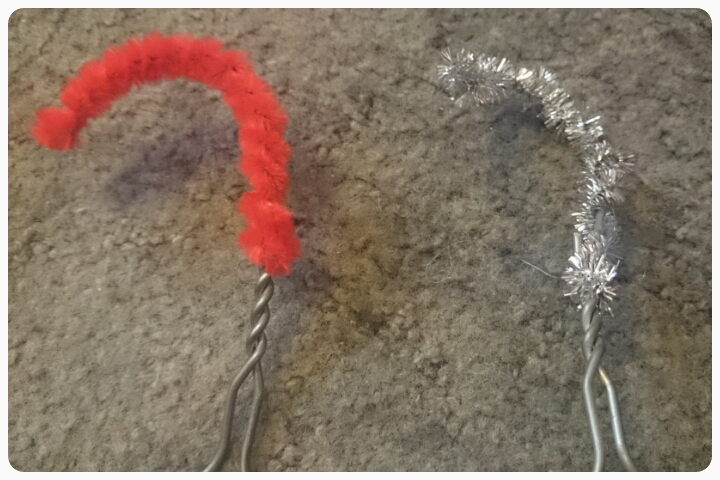 Wrap pipe cleaners around the hook of the hanger, this can be done in the colour of your choice. 3. 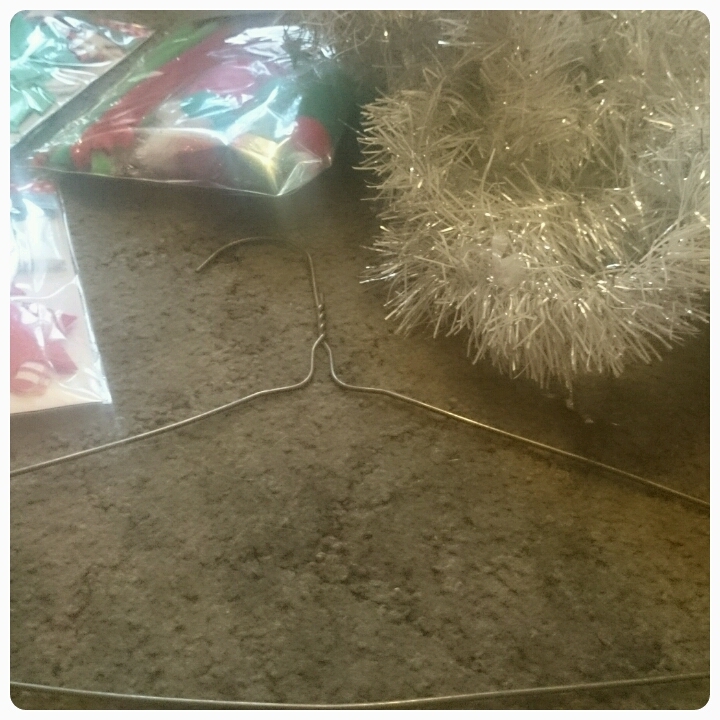 Wind the tinsel around your hanger until it is completely covered. Cellotape the ends to the hanger to prevent it from slipping off. 4. 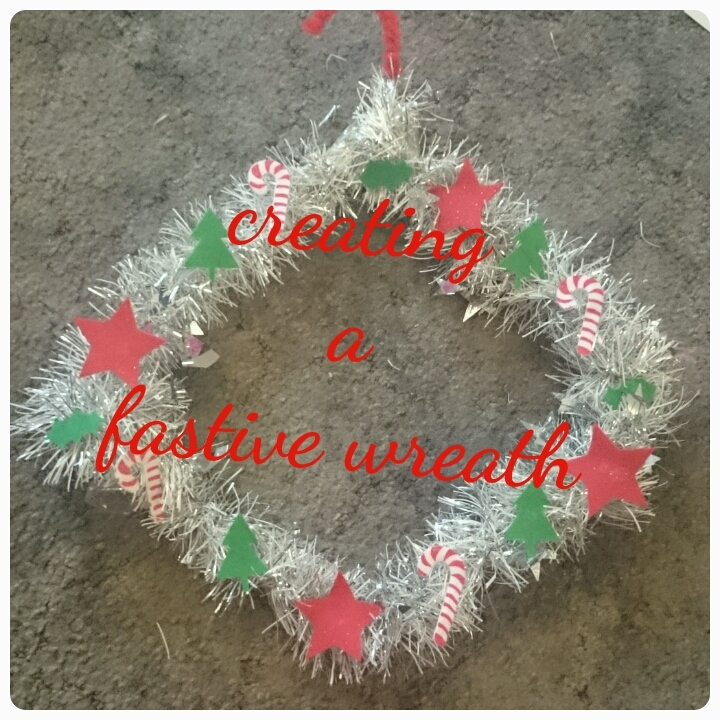 Glue your festive felt shapes onto the wreath in whatever fashion you like. The great thing with this craft is that you can make many different version using different coloured pipe cleaners and tinsel and of course you can glue on whatever you want, maybe bells, candy wrappers or perhaps some festive stickers?